They still come. They walk in silence and pay their respects to individuals they never knew. They hoist their toddlers and they focus their cameras. They shake their heads. It was a tragedy that reached every corner of the globe and today, one hundred and three years later, it has not been forgotten. That’s why they come. It will never be forgotten. 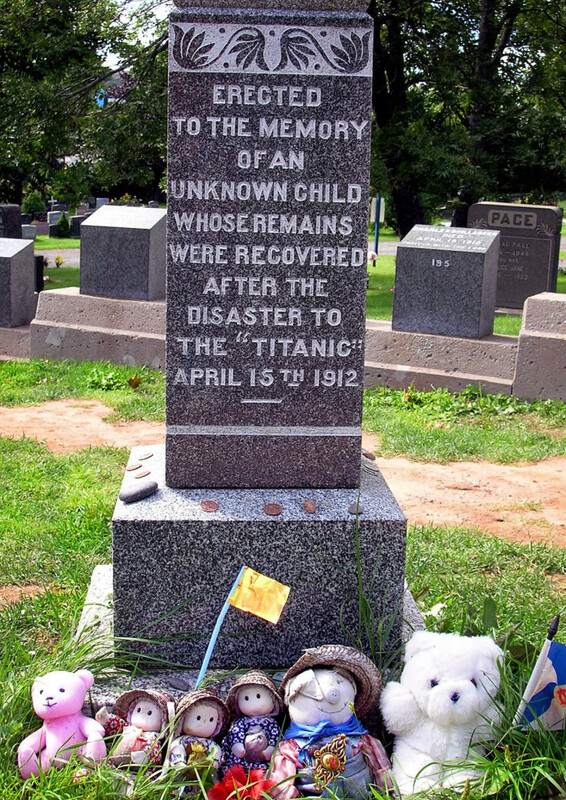 When the Titanic sank on April 15, 1912, those not lucky enough to secure seats on one of the lifeboats soon knew the agony of the freezing waters off the Nova Scotia coast. However, it is believed that they didn’t suffer for long as exposure most likely took them quickly. With bodies floating in a macabre, icy soup, recovery ships were quickly dispatched. It so happened that the White Star Line, the company that owned the Titanic, had offices in Halifax, Nova Scotia. They dispatched four ships and recovered 328 bodies. 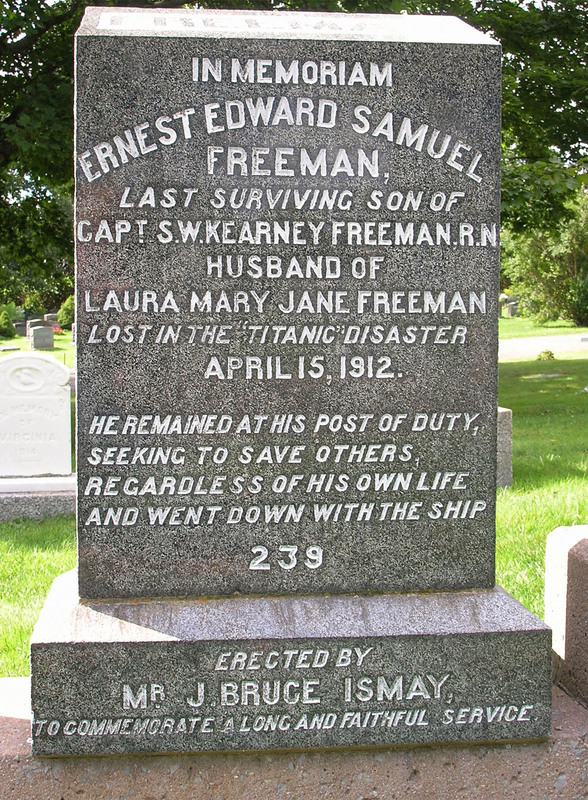 Many were returned to the frigid waters in burials at sea, but 209 bodies were brought to the port closest to the disaster, Halifax. Tedious and painstaking identification processes began. An engraved piece of jewelry or initials sewn into garments often disclosed the only clues to identity. Proudly, passengers boarded that ship with a ticket that bore their names. Sadly, many left it without personal belongings that could tell us those names. To this day, at least forty bodies lie in graves that bear no names. One grave is for an Unknown Child whose body was recovered and never identified. At Fairview Lawn Cemetery in Halifax, more than one hundred black granite markers stand, side by side. The personal stories and places of origin all differ, but one date unites them for an eternity and appears on every stone: April 15, 1912. 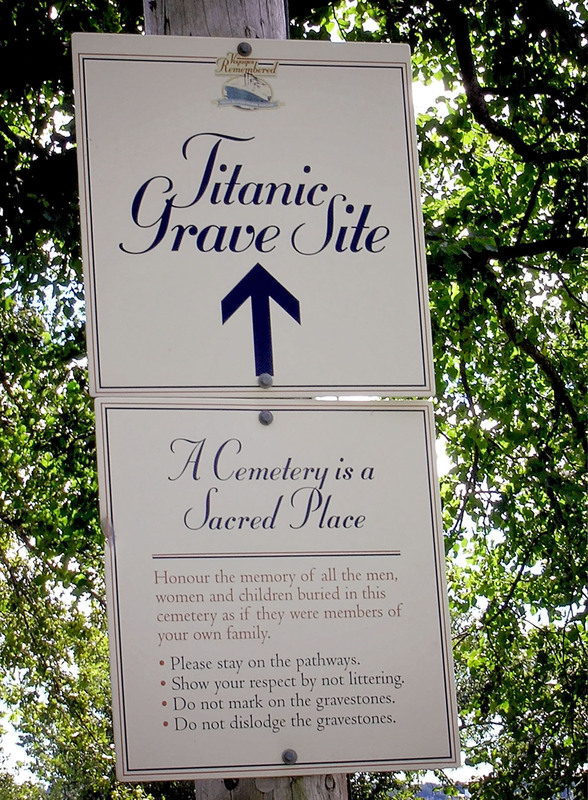 In great anticipation, it is easy to hurry along the paths that lead to the three, unforgettable rows of stones honoring Titanic victims. However, once the markers are in sight, visitors suddenly slow their pace and walk with great reverence and compassion for the lives so tragically cut short. One, in particular, tugs at the heart strings. It is often adorned with stuffed animals and flowers left by empathetic visitors. 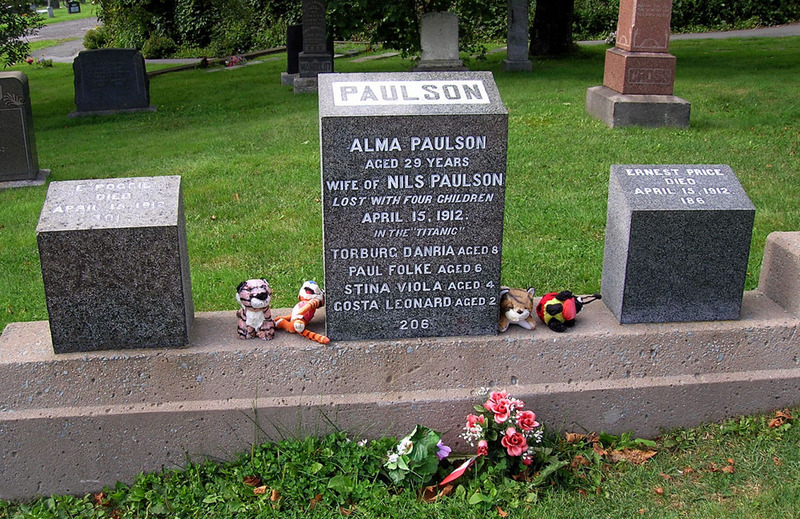 A twenty-nine year old mother, Alma Paulson, who should have known the joys of handmade birthday cards and special bedtime stories, instead entered the icy waters that night along with her four young children. One can only imagine the bravery she had to muster when her babies were screaming for her to make it all right. Did she draw them close together and tell them not to be afraid? The White Star Line purchased the section of land where the graves are found. The company provided small, black granite stones with the name, or body number, and the date. If relatives or friends wanted additional etching or larger stones, it was their responsibility to provide it. Almost everyone can recite historical Titanic facts. Yet, every row, every stone, every name and body number reminds us that this was no easy recital and it was certainly no Hollywood movie. Not all of the souls aboard that ship were privileged and the ones trapped on the lower decks had to have suffered unspeakable emotional pain before their bodies suffered excruciating exposure to the elements. Regardless of their ticket class, each passenger, each soul, was important to family and friends somewhere. Love connected them to others and, in the end, that’s what mattered, not the possessions, or lack thereof. Today, we are connected to others by love. When our time is up, that is what will matter to us, too. That is the fascination about the Titanic. For every one of us today, there was someone on that ship to whom we could relate and for whom we can mourn. That’s why they still come. That’s why they will always come.